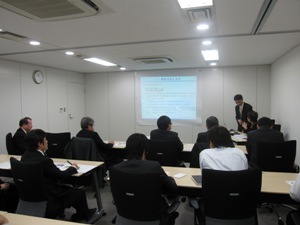 The 7th JRRN River Environment Mini Lecture was held on December 21, 2010. First, the nature of rivers in Taiwan and general water issues, river management systems, etc., were discussed. Next, based on lessons learned from a series of water disasters in the past, a detailed explanation of the concept of river planning and management under extreme weather conditions, and the direction for flood control measures that Taiwan should take in the future, were given together with a presentation of projects in progress.